Network security has become an important part of corporate IT strategy and safeguarding all the nooks and crannies of your network can be timely and expensive. This book provides information about how to use free Open Source tools to build and manage an Intrusion Detection System. Rehman provides detailed information about using SNORT as an IDS and using Apache, MySQL, PHP and ACID to analyze intrusion data. 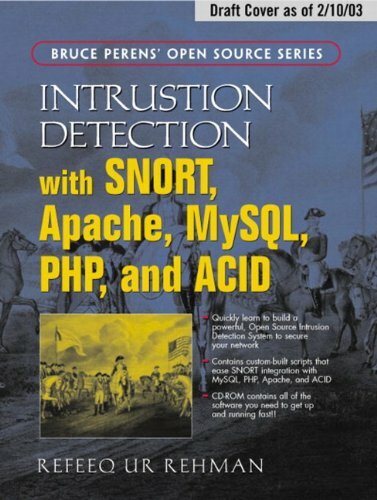 The book contains custom scripts, real-life examples for SNORT, and to-the-point information about installing SNORT IDS so readers can build and run their sophisticated intrusion detection systems. In this free 113 page ebook I summarize popular articles from covering the basics -- the things you must do, the software you must run and the concepts you need to be aware of -- to keep your computer and your data safe as you use the internet.